This is the second post in a series in which I will address the state of the art in oncologic imaging based on a review paper; Advances in oncologic imaging†‡ that provides updates on the latest approaches to imaging of 5 common cancers: breast, lung, prostate, colorectal cancers, and lymphoma. This paper is published at CA Cancer J Clin 2012. © 2012 American Cancer Society. In this post I summaries the chapter on lung cancer imaging. For cancer with such poor survival rates removal of the primary lesion by surgery at an early-stage disease is the best option. 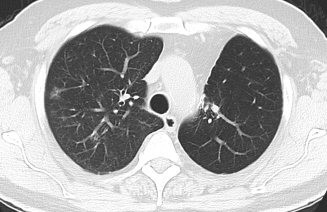 The current perception in regards to lung cancr is that patients may have subclinical disease for years before presentation. It is also known that early lung cancer lesions; adenocarcinoma in situ (AIS) and minimally invasive adenocarcinoma (MIA) are slow-growing, doubling time which can exceed 2 years.52 But, since at present, no lung cancer early-detection biomarker is clinically available, the diagnosis of this disease is primarily based on symptoms, and detection often occurs after curative intervention and when it’s already too late – see: Update on biomarkers for the detection of lung cancer and also Diagnosing lung cancer in exhaled breath using gold nanoparticles. 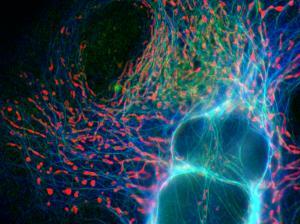 Until biomarker is found, the burden of screening for this disease is on imaging. “AIS and MIA generally appear as a single peripheral ground-glass nodule on CT. A small solid component may be present if areas of alveolar collapse or fibroblastic proliferation are present,50, 51 but any solid component should raise concern for a more invasive lesion (Fig. 8). Growth over time on imaging can often be difficult to assess due to the long doubling time of these AIS and MIA, which can exceed 2 years.52 However, indicators other than growth, such as air bronchograms, increasing density, and pleural retraction within a ground-glass nodule are suggestive of AIS or MIA. CT image shows a ground glass nodule, which is the typical appearance of AIS, in the right upper lobe. CT (A) demonstrated extensive consolidation with air bronchograms in the left upper lobe, which at surgical resection were found to represent adenocarcinoma of mixed subtype with predominate (70%) mucinous bronchioloalveolar subtype. PET imaging in the same patient (B) demonstrated uptake in the lingula higher than expected for bronchioloalveolar carcinoma and probably due to secondary inflammation/infection. CT (C) obtained 3 years after images (A) and (B) demonstrated biopsy-proven recurrent soft-tissue mass near surgical site. Fused FDG/PET images (D) demonstrate no uptake in the area. This finding is consistent with the decreased uptake usually seen in tumors of bronchioloalveolar histology (new terminology of MIA). In August 2011 the results of the “National Lung Screening Trial “ which was funded by the National Cancer Institute (NCI) were published in NEJM; Reduced Lung-Cancer Mortality with Low-Dose Computed Tomographic Screening. This randomized study results showed that with low-dose CT screening of high-risk persons, there was a significant reduction of 20% in the mortality rate from lung cancer as compared to chest radiographs screening. “Three screening tests have been studied to see if they decrease the risk of dying from lung cancer. Screening with chest x-rays or sputum cytology does not decrease the risk of dying from lung cancer. The standard treatment of choice for localized disease remains surgical resection with or without chemo-radiation therapy (stage dependant). “The current recommendations for routine follow-up after complete resection of NSCLC are as follows: for 2 years following surgery a contrast-enhanced chest CT scan every 4 to 6 months and then yearly non-contrast chest CT scans.62 Detection of recurrence on CT is the primary goal in the initial years, and therefore, optimally, a contrast-enhanced scan should be obtained to evaluate the mediastinum. In subsequent years, when identifying an early second primary lung cancer becomes of more clinical importance, a non-contrast CT chest scan suffices to evaluate the lung parenchyma. CT (A) of 78-year-old male who was status post–left lobe lobectomy and left upper lobe wedge resection shows recurrent nodule at the surgical resection site. 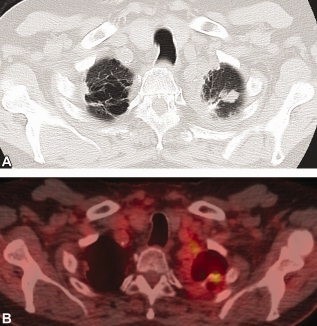 Fused PET/CT (B) demonstrates increased [18F]FDG uptake in the corresponding nodule at the surgical resection site consistent with recurrent tumor. In patients treated by recently developed “Targeted Therapies” such as Radiofrequency ablation (RFA) the authors found out that PET/CT is the preferred imaging modality for post treatment follow-up. CT (A) demonstrates new left upper lobe mass representing new primary NSCLC in a patient who had a status post–right pneumonectomy for a prior NSCLC. CT (B) obtained in the same patient 2 weeks after radiofrequency ablation (RFA) demonstrates the postablation density in the left upper lobe. Fused PET/CT (C) obtained 4 months after RFA demonstrates mild [18F]FDG uptake at RFA site in the left upper lobe consistent with posttreatment inflammation. Fused PET/CT (D) obtained 7 months after RFA demonstrates new focal [18F]FDG uptake at post-RFA-opacity consistent with recurrent tumor.